Allen Roofing & Construction - Monona Chamber & Economic Development, Inc.
ALLEN ROOFING & CONSTRUCTION, INC. is a Duro-Last Elite Contractor based in Monona, IA. We offer commercial and residential roofing applications. 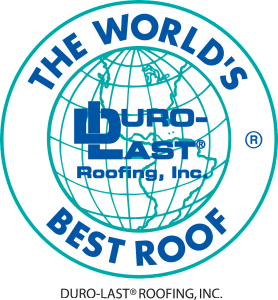 ​* For commercial applications, we offer the Duro-Last roofing system. * For residential applications, Allen Roofing & Construction is a CertainTeed Certified Installer. ALLEN ROOFING & CONSTRUCTION's expert team of roofing consultants and installers can help guide you through insurance claims, re-roof considerations, or any other roofing scenario. Beat our unpredictable Midwest winter storms! Call ALLEN ROOFING & CONSTRUCTION​ for fast, efficient & reliable snow removal services. Relax & don't worry about how you're going to dig yourself out. Let us do the hard work for you -- we've got you covered! Other services we provide & we're ready to assist you! * Asbestos Removal -- We are a certified Asbestos Abatement contractor. We can safely remove any Asbestos materials from your property including slate roofing and siding. Don't let other companies cause you health concerns by improperly removing this cancer causing material. We will be doing our first project in Monona this year! Knowledge is power and we are very proud that we have spent the time and money on getting our crew certified so we can correctly and safely provide our customers the peace of mind they deserve. * Roofing Repairs -- When you have a leak, a tear or are missing shingles “We’ve Got you Covered”. We can repair most any roofing system. We will come on-site to provide an free evaluation of the repairs needed and walk you through the process to complete them. Visit our website and you will quickly see why so many building owners and homeowners have chosen ALLEN ROOFING & CONSTRUCTION, INC. as their roofing partner, and that's why "we've got you covered." Shown above-center are Missy & Nathan Trappe accepting ALLEN ROOFING & CONSTRUCTION, INC.'s recent award from Duro-Last Roofing, Inc. as a top Duro-Last Elite Contractor! We thank you for your repeat and referral. Please give ALLEN ROOFING & CONSTRUCTION, INC. a chance today to give you a FREE roofing evaluation or estimate on your next job.